We’ve done some discounts on all our Hypnos compilations this week, with the low prices being good through April 7th or while supplies last. It’s a great time to fill out your collection if you don’t yet own them all! This first compilation on Hypnos brings together 19 of today’s most talented and visionary artists, including Vidna Obmana, A Produce, Jeff Greinke, Ron Boots, Jeff Pearce and many others. All 19 tracks are exclusive. The 2nd Hypnos compilation follows early 98’s landmark THE OTHER WORLD, one of the most acclaimed ambient/atmospheric compilations ever, which won numerous “Top 10 of 1998″ and “Best Compilation of the Year” awards. 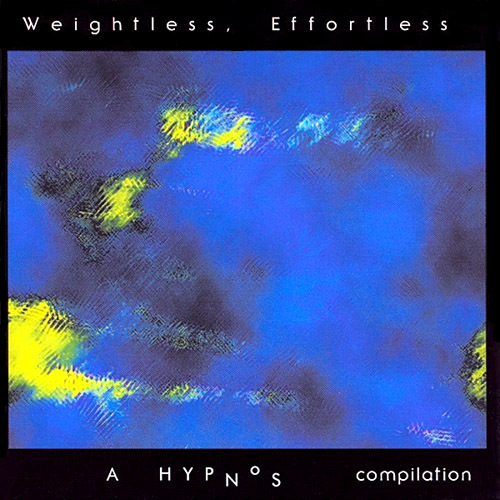 WEIGHTLESS, EFFORTLESS consists of 9 exclusive new tracks by some of the most noteworthy artists in this genre, both established figures and unknowns deserving of more attention. The contributors each created an expression of a central theme: that of existence without desire or struggle, indeed without intention. The resulting pieces express a restraint, a purity and simplicity, all to uncommon in music today. Even if you listen without regard to the theme unifying these pieces, you’ll find WEIGHTLESS, EFFORTLESS to be a wonderful sampler of some of the finest artists working today. There is a continuity between tracks, as though all the material were composed by one mind. Yet despite this smooth continuity, each piece is an expression of a unique creative voice, and conveys strongly what is distinct about that artist’s personality. Let WEIGHTLESS, EFFORTLESS take you to a place that is without ego and without wanting. 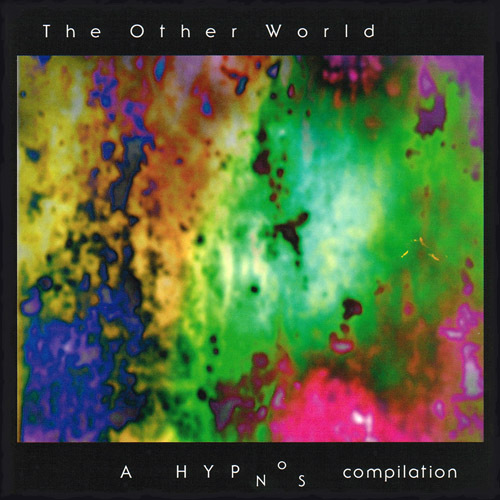 Long-time Hypnos listeners may recall that we released a couple of compilations in the early years, The Other World and Weightless, Effortless, which included exclusive tracks by many of the all-time greats of this music scene. Both those compilations were very well-received by critics, DJs, and all kinds of listeners. So you could ask, and many have, why hasn’t Hypnos released any more compilations recently? Maybe because they’re a lot of work, much more work than a regular CD by a single artist, and time is always a constraining factor when running a small label by yourself. Do you do one compilation album, or do you spend that time putting together two or three regular CDs? Well now, Hypnos is no longer a one-man operation, so more time is available, and that has allowed us to take on the task of putting together these compilations. Having not released any various-artists compilations in the past decade, Hypnos released in 2007 a new compilation Sounds of a Universe Overheard featuring a diverse array of ambient soundscape artists from around the world. We are proud to follow last year’s release with its “mirror image” compilation, which we believe meets or exceeds that high standard. Polyhymnia was one of the Muses of Greek myth, specifically the Muse of sacred hymn. 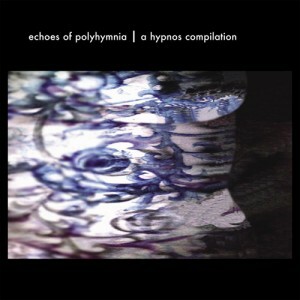 Echoes of Polyhymnia compiles music in ambient and related genres composed and recorded exclusively by women. This genre is so male-dominated generally that we had a lot of fun gathering interesting ambient sounds, including some works that have one foot in ambient territory and another foot in one of several different, related genres. 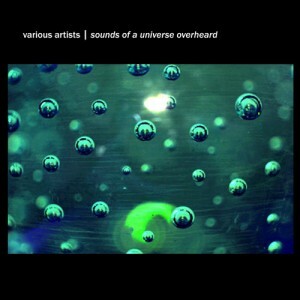 It covers styles and flavors as diverse as ambient, drone, glitch, vocal collage, goth and electronica. Hypnos manager (and recording artist) Lena Griffin curated this specially-themed compilation which gathers an assortment of ambient & atmospheric sound works from around the world. 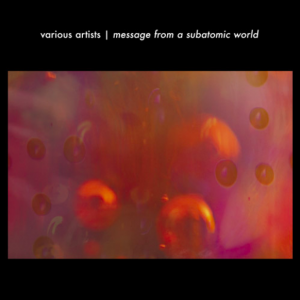 This project reveals a totally new angle on ambient music, more diverse and wide-ranging than all previous ambient compilations from Hypnos. Ranging from ethereal to dark to pretty to spooky to melodic, we think this album displays a solidly worthwhile musical and soundscape content beyond just the curiosity and “I’ve never seen that before” factor of the theme. Visit the SOUNDSWIM store to READ MORE/LISTEN/PURCHASE.